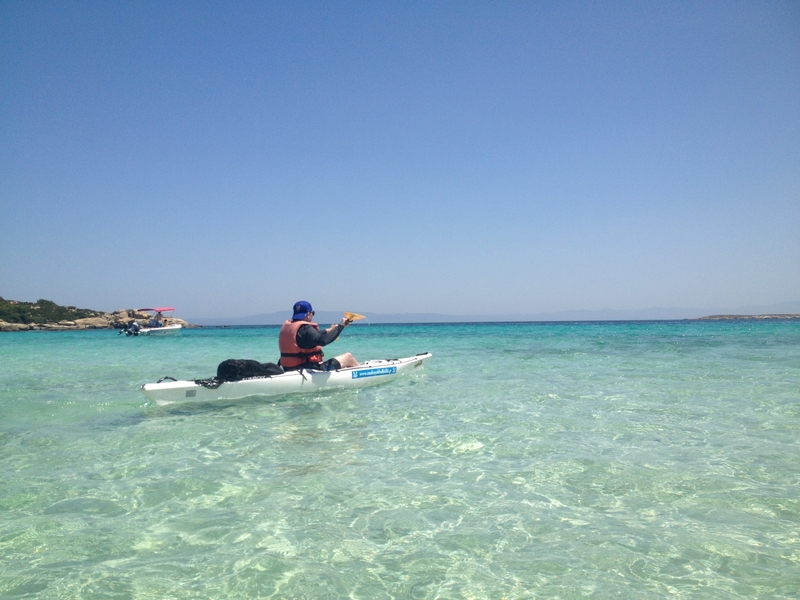 Our unique Sea Kayak Halkidiki Full Day Trip is adventurous but safe and “show off” the beautiful Vourvourou resort and Diaporos island coast line. 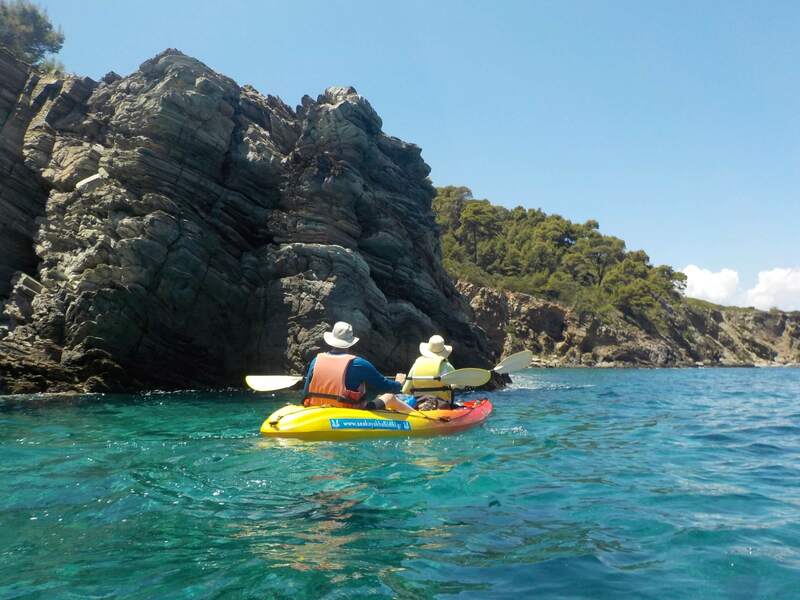 The Full Day trip provides an adventure that truly makes you feel like a liberated explorer in command of the sea and land. 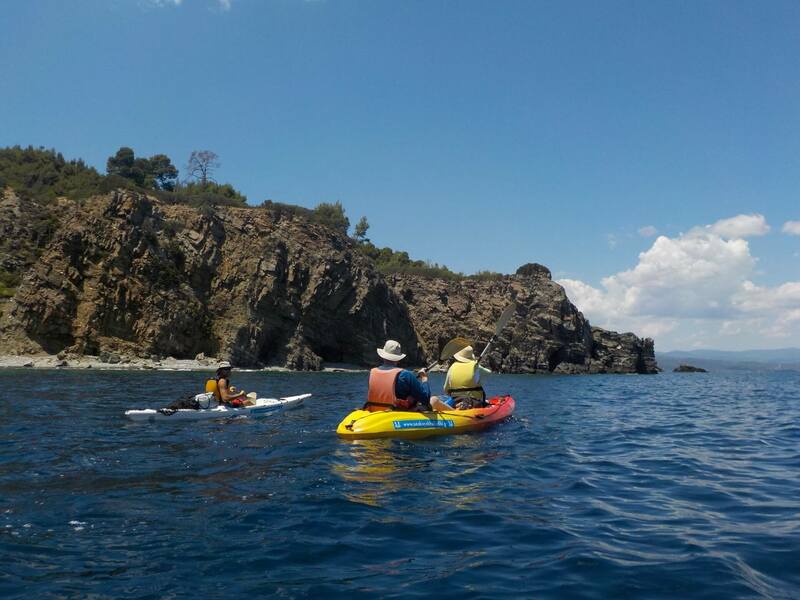 It lasts approximately 8 hours and is great for people who have plenty of time at their disposal, as there are several different route options available while circumnavigating Diaporos island in Vourvourou bay. 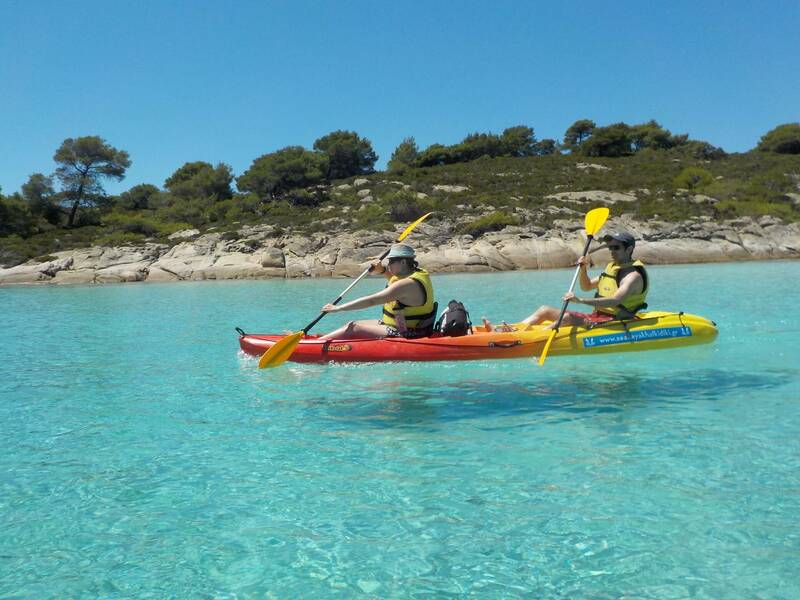 – Ultimate kayaking experience in Halkidiki. Great for first-timers! – Super exercise! Moderate activity level.